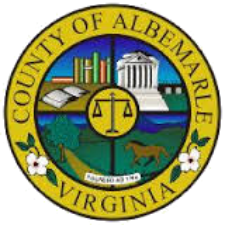 The Albemarle County Board of Supervisors approved the first lease agreement for space at the new Yancey School Community Center earlier this week. Further, beginning September 19, the Jefferson Madison Regional Library Bookmobile will now stop at the Yancey School Community Center on the 1st and 3rd Wednesdays of every month from 12:30pm to 1:15pm. The Board of Supervisors expects to consider additional lease agreements with partner agencies in the coming months. Parks & Recreation will also expand fitness and wellness program offerings later this fall. The Yancey School Community Center can be reserved for special events through the County’s Parks and Recreation website. The vision for the Yancey School Community Center was created by the BF Yancey Transition Advisory Committee, which was charged with recommending a strategy for long-term use of the building to the Board of Supervisors following the closure of the Yancey Elementary School in 2017. For more information on the committee, visit www.albemarle.org/yancey. The Education Transformation Centre (ETC) plans to provide an alternate education course and services for high school students from the City of Charlottesville, Albemarle County, and the surrounding localities. ETC is a 501(c)(3) organization and alternate education course designed to prevent encounters with the justice system and reduce frequent instances of detention and suspension.